Since from two months you mightn't seen any free download MO tricks in Airtel.But now it has been revealed.Currently there are two Block Buster Hollywood movies available in airtel to download free. 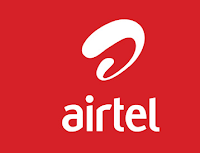 Access point must be airtelgprs.com,You should activate the Zero Rental Mobile Office plan in Airtel in-order to download the movies. You must have Download Manager in your PC,i would recommend IDM. Install it if you don't have one,then run it. In IDM set the proxy as 78.129.232.26 and set port address as 8080. The above two movies are suitable for PC format. You must have low balance Rs 0.30 to download them with free of cost and to avoid further Balance deduction.